Newsworld's CBC Morning spent all morning making one of these. Thanks to The Presurfer for hunting down the recipe. 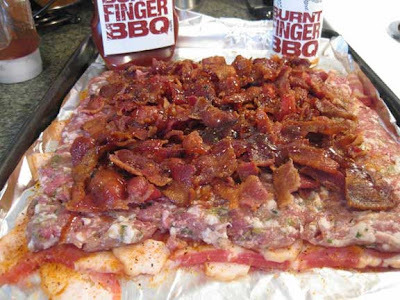 This is more bacon than anyone would want to eat in one sitting, let alone 4 quarters of Sunday's Superbowl.